Yes, I get it. Cloud is the new standard. The new normal. For me, the excitement of getting applications out on SAP Cloud Platform NEO has throughout 2017 been mixed with a fear of not really understanding Cloud Foundry and all the concepts surrounding it. One of the hurdles to tackle is containerization of solutions. Is it important? Yes. Allowing your stuff to be deployed into a Cloud Foundry environment as a prepacked box with all stickers, labels and content all in one go sounds quite clever. Bjoern Goerkes keynote at SAP TechEd this year set the course even clearer, with the announcement that SAP has joined the Cloud Native Computing Foundation (CNCF), and will steer the container ship towards Kubernetes. As of now, Cloud Foundry supports Docker containers (through Diego). After reading fascinating blogs by Matthias Steiner, I decided it’s time to catch up and get some hands on with container based development for SAP Cloud Platform. For me, and I’m sure a lot of you will relate, this has been pure theory so far. This blog describes my learning experience. I know that a lot of my colleagues at NTT Data Business Solutions will try this out as well – so this one is for you (hence the branding). Clone a simple code project using GitHub. 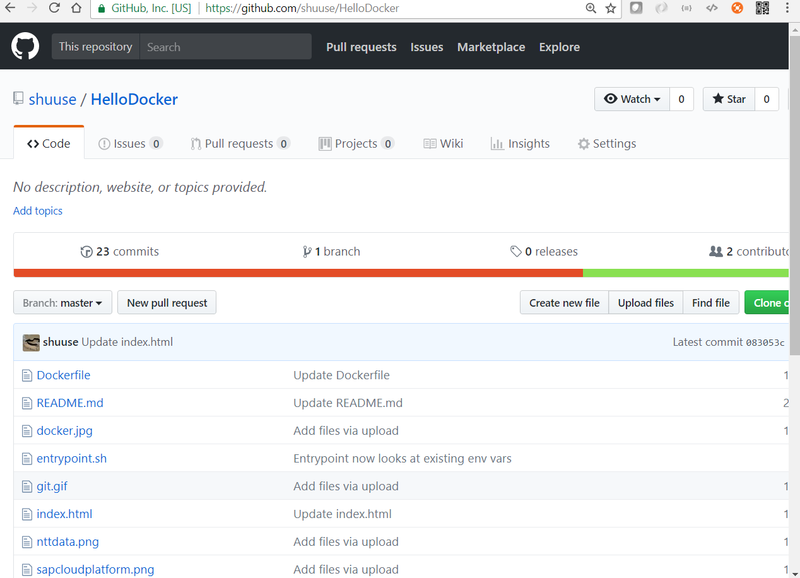 Link GitHub and Docker Hub. 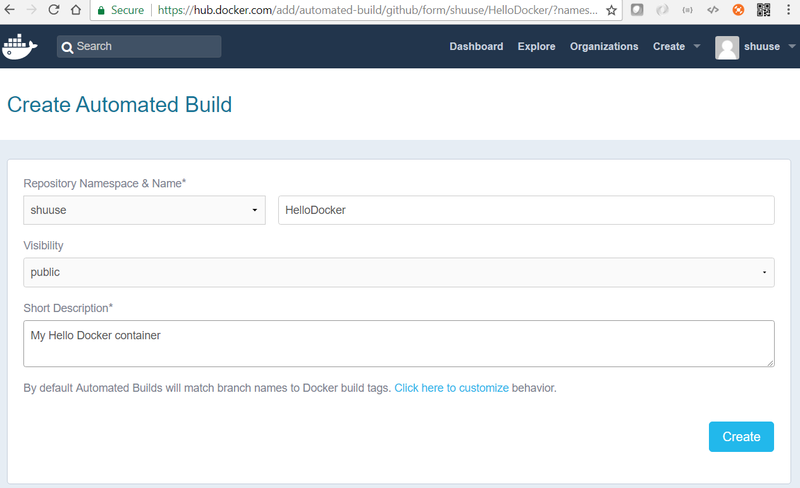 Build the project in a container on Docker Hub using automatic build. Deploy the container to SAP Cloud Platform Cloud Foundry. A GitHub account and some code. An SAP Cloud Platform Cloud Foundry trial account. 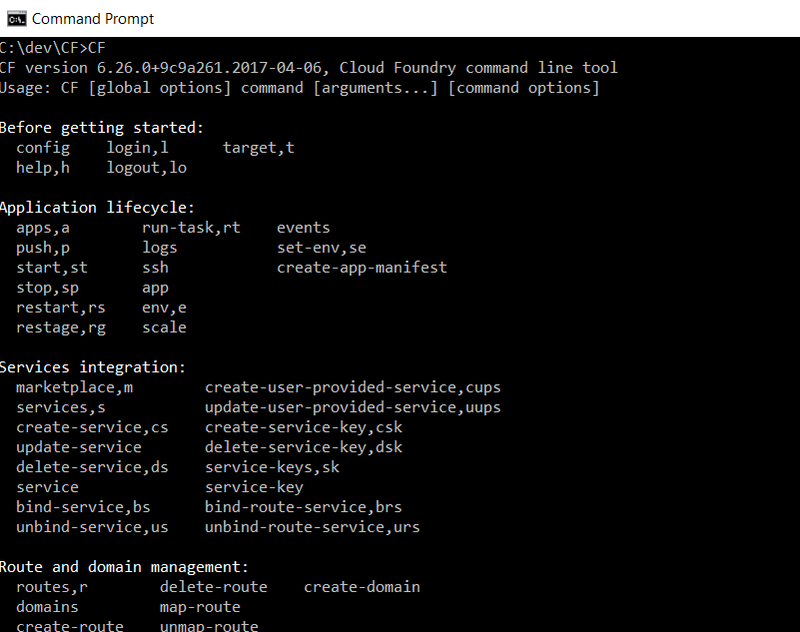 The Cloud Foundry command line interface plugin on your computer. No investment needed other than your time! First of all, sign up/logon to GitHub. This is a good point to explore the files and code that you just copied. Moving on.. 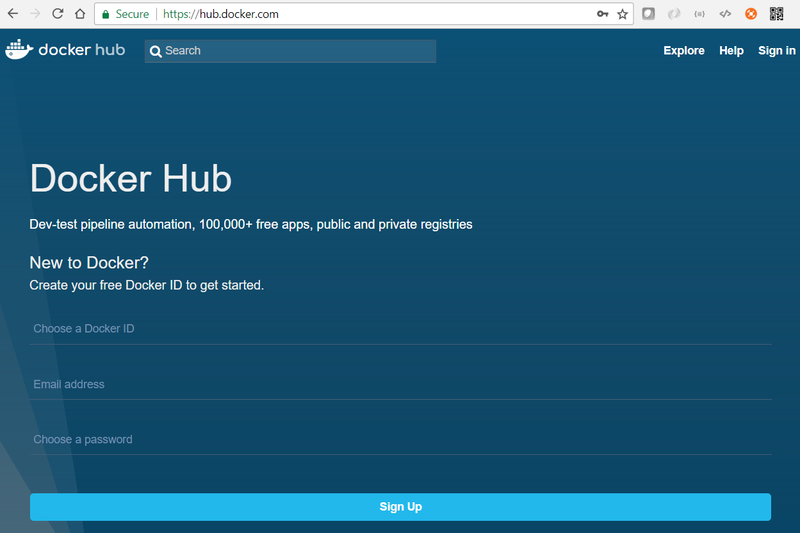 The next step is to sign up and logon to hub.docker.com in order to link it to your GitHub account. 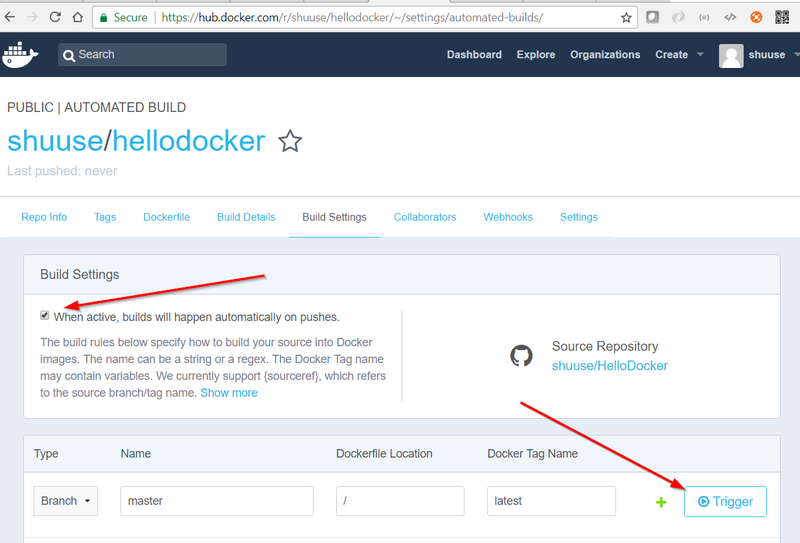 Once you have logged on to Docker Hub, go to “Create Automated Build” in the top menu. If you go to the tab “Build Details”, you can follow the build process in detail. But let’s just assume that everything goes according to plan. The next thing you need is an SAP Cloud Platform Trial account on Cloud Foundry. I have faith in you to do that on your own, there are plenty of guides and it’s also quite self-explanatory. Start here and click “Cloud Foundry Trial”. Choose the Europe-AWS edition, unless you’re in an experimental mood. Viola! There it is, running like a charm. 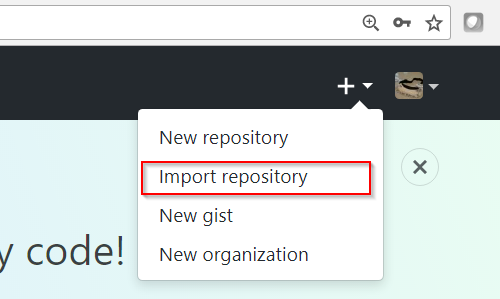 And, remember, as you set the automatic build flag in Docker Hub, there will be a new build version every time you commit to GitHub. That doesn’t automatically update your application on Cloud Foundry. For that you should run the CF push command that we did a few steps ago. 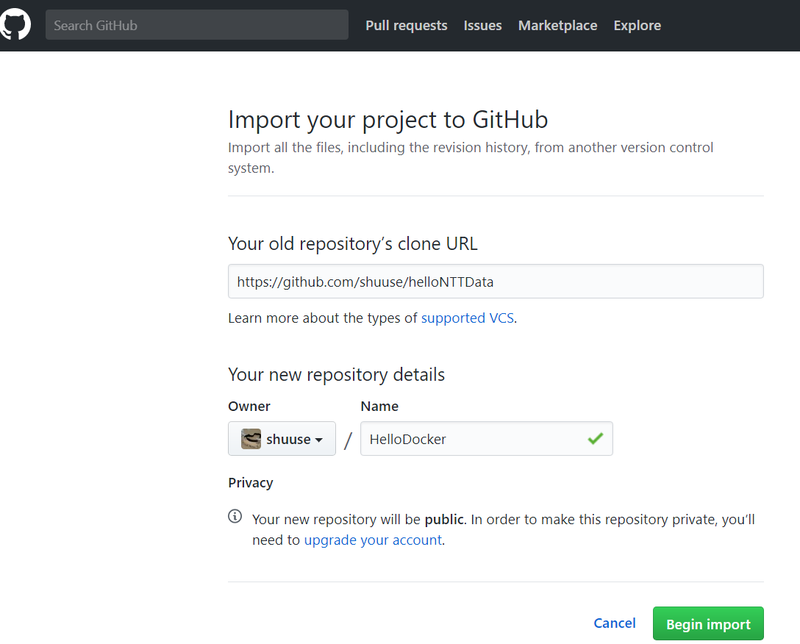 We have seen how you can use GitHub to create contents for a Docker container, and how we can link Docker Hub to automatically build your container. 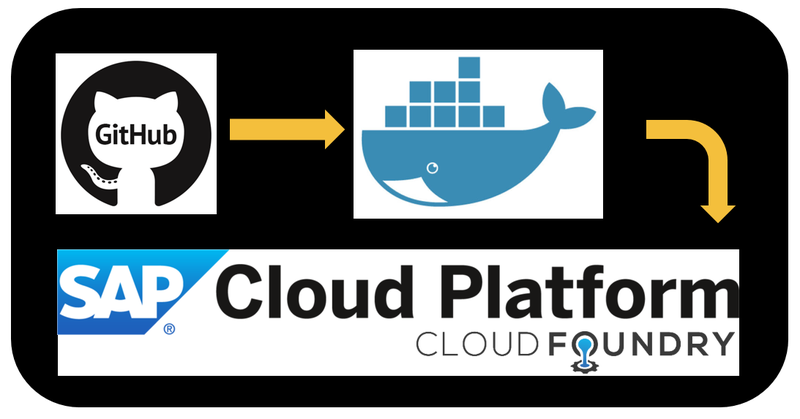 Then we pushed the container onto a SAP Cloud Platform trial account using the Cloud Foundry command line interface tool. Thanks for taking part in my learning experience! I hope it was useful, and that it will inspire you to share your findings as well.